Earl J. “Yogi” Belden, 80, of Gilmore Street, passed away peacefully on Wednesday, April 2, 2014 at the Glens Falls Hospital following a long illness. Born on September 21, 1933, in Fort Ann, he was the son of the late Earl and Minnie (Stark) Belden. Earl attended Fort Ann School and enlisted in the United States Air Force in 1952 and served four years during the Korean Conflict. He married Evelyn (West) Belden in 1960. Together they raised four children, Jeffrey Belden, Wayne Belden, Sandy Belden McGinnis and Kim Belden Perry. 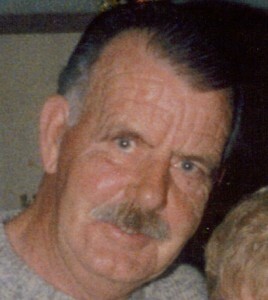 Evelyn predeceased him in 1983 and their son, Wayne, in 1986. He is also predeceased by two sisters, Marie Martel and Rita Belden. Earl was employed by the New York State Canal System for 30 years, retiring in 1995. After retirement, he enjoyed working for many local establishments including Garden Time, Hicks Orchard, the salt shed in Whitehall and worked at Vermont Structural Slate for a period of time. In his younger years, Earl enjoyed playing cards and betting on horses. He was an avid fan of the New York Yankees and the New York Giants and for a time, he went to an annual game with family and friends. Earl married Kay (Bartholomew) Belden on Sept. 2, 1988. They enjoyed nearly 22 wonderful years together. She predeceased him on March 23, 2010. Besides his three children, he is survived by three stepdaughters, Marcy Arquette, Angel Arguette and Donna Arquette Daigle; two sisters, Beverly O’Dell and Geraldine LaPorte; three brothers, Milford Belden, Ronald Belden and Melvin Belden; four grandchildren, Derek and Sean McGinnis and Brittany and Tyler Perry along with numerous step-grandchildren, nieces, nephews and cousins. A private family service will be held at the convenience of the family at the Jillson Funeral Home, Inc.
Interment with full military honors will be conducted in Greenmount Cemetery at a later date. In lieu of flowers, donations may be made to the American Legion Post #83, Main Street, Whitehall, N.Y. 12887.